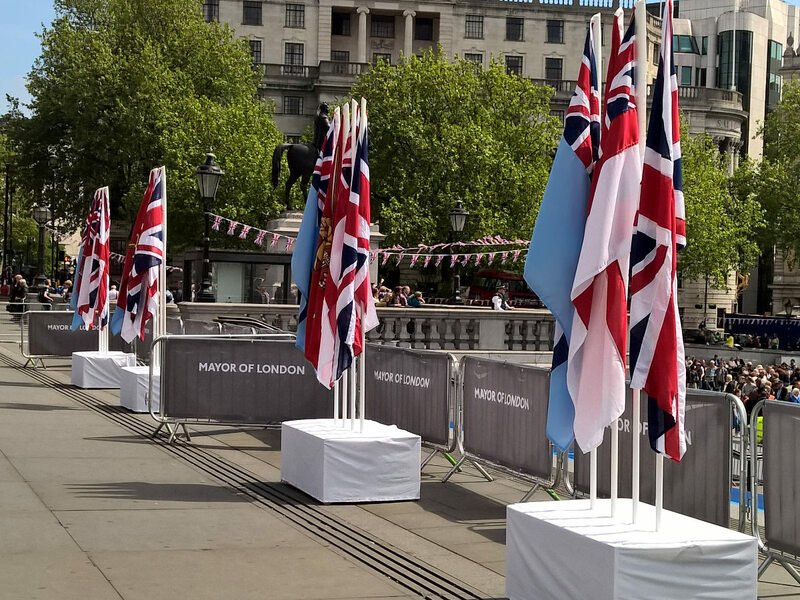 JR Event Services won the GLA tender to event manage the 70th VE Day Commemorations in Trafalgar Square. The specification was to dress the Square in a sympathetic way to allow visitors to listen to the band of the Grenadier Guards. Using the central staircase as the focal point JR Event Services laid a blue carpet across the staircase and dressed the surroundings with a mixture of Union flag bunting, custom barrier scrims and the standards of the three Armed Forces. 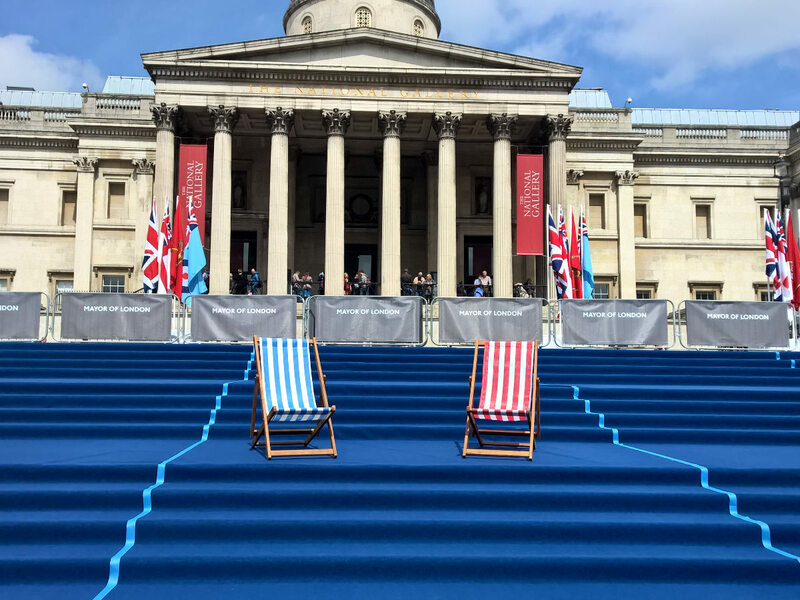 Included, was also the need for some seating, rather than use simple event seating JR Event Services bought in a supply of deckchairs in red, white and blue to further enhance the environs. Approximately 5-7,000 visitors attended the free to enter event. To minimise impact on the day to day running of the Square, JR Event Services programmed the installation and removal of the production assets to ensure that the Square was returned to normal just 3 hours after the end of the event. JR Event Services also provided all Event Safety provision for the event.